This adult male sea otter poses nicely in the soft evening light of sunset. 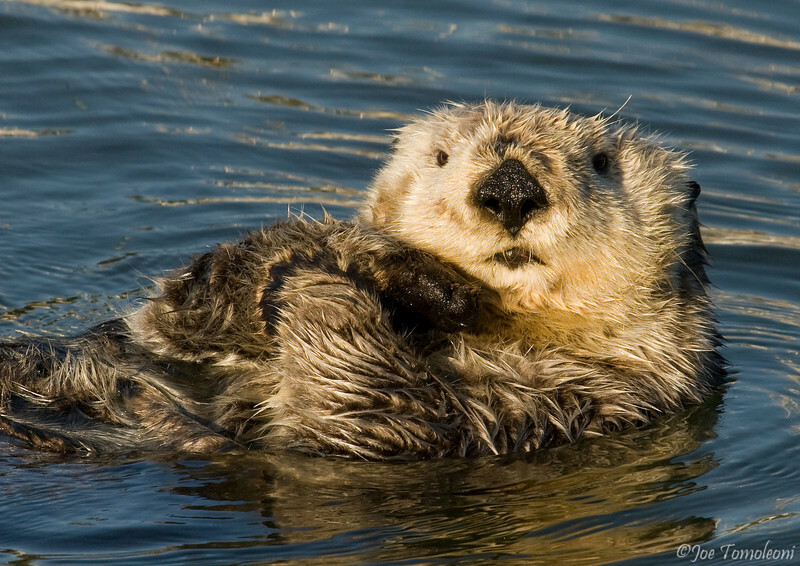 The Southern Sea Otter is a threatened species that has bounced back from the brink of extinction. In the 1930's only a handful of otters remained in California, their populations decimated by the fur trade. Today, more than 2,500 otters inhabit the Central California coast, but after a long period of slowly increasing numbers, population growth has come to a halt, and has actually declined in some areas within the past 5 years. Scientists are working around the clock to save the sea otter, which, as a keystone species, ultimately affects the health of entire nearshore marine ecosystems on the West Coast of North America.